MADRID (Reuters) - Real Madrid and Chelsea have agreed in principle to Belgian striker Eden Hazard's move to the royal team next summer, the Marca newspaper said. The newspaper added that Chelsea understands the desire of the player to challenge the new Spanish stadiums and that the announcement of final completion of the deal will occur before the end of the season. 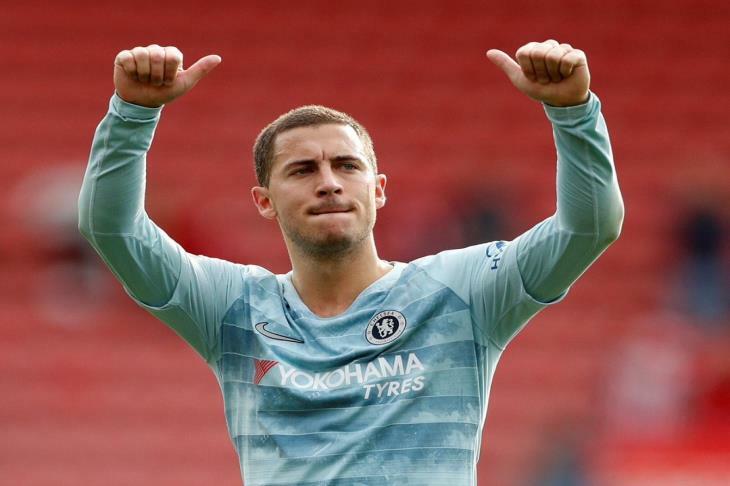 Marka has concluded that Hazard is already planning to move to the Spanish capital as the Belgian star prepares to choose his home in Madrid, which is set to become his residence in the next six years. Hazard is the main goal of French coach Zinedine Zidane, and the Real Madrid coach is very impressed with the player's potential. He also clearly expressed his desire to play in Real Madrid under Zidane on more than one occasion. Hazard has been in Chelsea since 2012 and has contributed to five titles since then, most notably the Premier League titles 2014-2015 and 2016/2017, and the 2015 English Player of the Year award.